Ahead of next week’s meeting of EU leaders, Richard Corbett MEP, Labour’s acting leader in the European Parliament, looks are where we are. It isn't looking good. 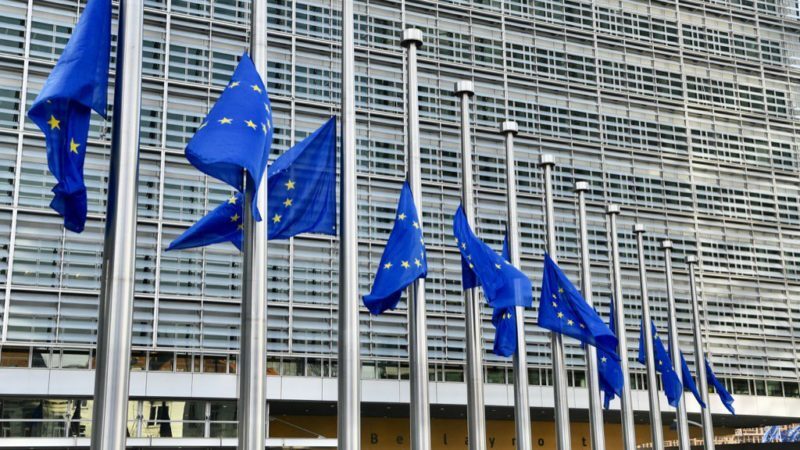 While nobody said it was unexpected, it’s bad timing ahead of next week’s meeting of EU leaders: the Brexit talks have stalled, with no agreement on the major issues of citizens’ rights, Northern Ireland and the UK’s financial liabilities. On each of those key points, all of which the UK and EU agreed would need to be addressed before trade talks can begin, the negotiating teams are no nearer now to resolving disagreements than they were at the start of the week. Responsibility for that has to rest on the shoulders of the Tories and the chaotic approach to the talks, which are of the utmost importance to the country. In this past week alone, we’ve seen a litany of errors. First we saw Theresa May, in that car-crash LBC radio interview, refusing to guarantee the rights of EU citizens living in Britain if the UK leaves without a deal. And then the Irish tax authorities said “a completely open border is not possible” if Britain leaves the customs union. And the Prime Minister, once again acting in the interests of party, not country, spent more time talking about setting money aside for a no-deal scenario rather than committing cash to avoid crashing out without a deal. As with the billion-pound bung to the DUP, the Tory government is more than capable of shaking the magic money tree when it wants to. At the end of all of this, we’re back where we started: seemingly in the same position now as we were when Article 50 was triggered more than six months ago. The EU negotiations are stuck in Groundhog Day: day after day, week after week, negotiating round after negotiating round, time ticking away to Brexit Day with no progress in sight. Not that the UK government is in any way prepared for the gruelling task of post-Brexit trade negotiations: a Freedom of Information request this week revealed that on a recent Department of International Trade visit to the US, not only was the UK delegation outnumbered 77-27, but they had next-to-no experience of negotiating trade deals. Never mind turning up to Wimbledon with a table tennis bat, the government’s approach to the Brexit talks is more akin to turning up to the court to find that before the first serve is faced, your racket has been broken. By yourself. We’re going to walk away. That you haven’t worked that out is your problem. Its all very well pointing out that the country is sleepwalking to disaster. When will those who can actually do something to stop it going to act ? Those Conservative and Labour MPs who haven’t drunk the Brexit kool aid need to act now, get together put a stop to this dangerous nonsense. Will – you are so right! We need to join EFTA/EEA. We need to free ourselves of the ECJ, the CAP, the CFP and to get the same rights as Liechtenstein regarding immigration. We need to maintain our trade, AEOs, BIPs and keep the 60% of our logistics moving freely by lorry. We need to have constant contact with the EU to discuss our future. Unless we do this, we face disaster. It also solves what M. Juncker calls the “divorce settlement” payments too. And where is the Labour party on all this?